Home/ About Us/ Subsidaries/Jiangxi Ya Dong Cement Co., Ltd.
Jiangxi Ya Dong Cement Co., Ltd.
Jiangxi Ya Dong Cement Co., Ltd. (the “Company”) is a joint venture enterprise established by Asia Cement Corporation, a subsidiary of Far Eastern Group in Taiwan, and Jiangxi Provincial Investment Group Corporation. It is currently one of the largest sino-foreign joint venture companies in Jiangxi Province, with a total investment amount of approximately US$740 million. Construction of Phase I of the Company’s factory commenced in late 1997. Its No.1 kiln began operation in July 2000, whereas No. 2 kiln, No. 3 kiln, and No. 4 kiln began operation in September 2003, July 2007, May 2010 ,September 2013 and January 2014 respectively; the residual heat electricity generation system was put into operation in March 2006. The Company now has an aggregate clinker capacity of 11 million tonnes per annum and, if different types of cement products are taken into account, a total annual capacity of 14 million tonnes. 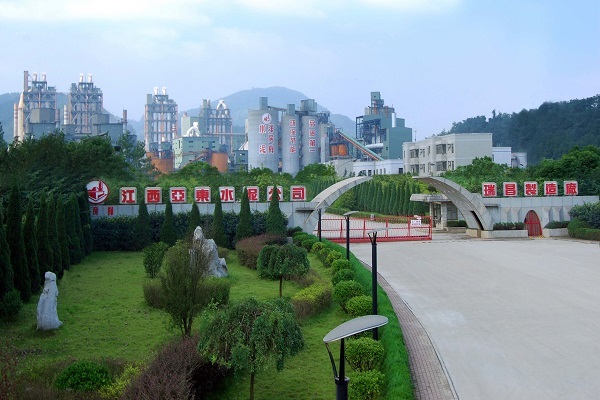 “Skyscraper” (“洋房牌”) brand cement produced by the Company has gained numerous national product quality certification awards, and accolades including Jiangxi Province’s famous brand name products and key products for protection. The Company’s cement products can meet different customers’ needs. The Company has passed ISO 9001, ISO 14001 and OHSMS 18001 management system attestation; it was also named as one of the 60 large-scale cement enterprises receiving key State support by the National Development and Reform Commission at the end of 2006. The Company has also received the titles of Advanced Enterprise in Quality Management of Jiangxi Province, Jiangxi Provincial Environmental Protection Model Enterprise, Advanced Entity in Energy Conservation of Jiangxi Province, Exemplar Enterprise for Clean Production in Jiangxi Province, Enterprises Included in Survey of Companies In Times of Prosperity by The People's Bank of China, and China’s advanced mining companies with comprehensive abilities in development and utilization of mineral resources (first edition). The Company embraces Far Eastern Group’s corporate culture of “Integrity, Diligence, Austerity, Prudence and Innovation”. Leveraging the valuable experience in Taiwan, the Company strives to establish in Mainland China a large modern cement enterprise that could serve as a role model by committing to achieve “Three Highs, One Low” production target of “High Quality, High Level of Environmental Protection, High Efficiency, and Low Cost”, which will provide a solid foundation for the Company’s sustainable development in future. It is also a role model for showing that "industrial development and environmental protection can go hand-in-hand". Looking ahead, the Company will comply with the State’s various plans and cement-related policies by adopting a positive and innovative mindset, in order to provide products and services of the highest quality for Jiangxi Province and its neighbouring provinces.